Native Duluthian Roy Halvorson, son of Norweigan immigrants, founded Halvorson Trees with his wife Edythe in 1929. 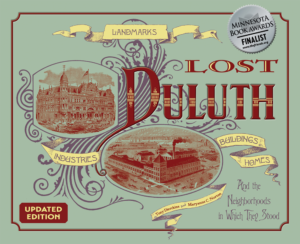 From a factory at 389–391 Lake Avenue South they produced and sold three-foot tall colored Christmas trees, actually the tops of black spruce trees that grew in northern Minnesota peat bogs. 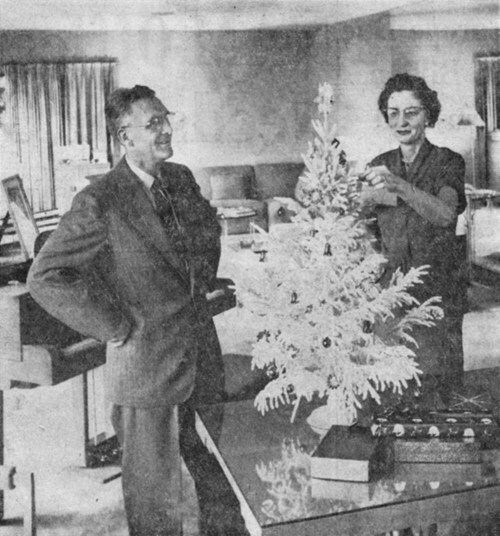 Halvorson developed a chemical coloring process that enabled the company to produce green, silver, white, and pink holiday trees. The trees sat in a metal base filled with a synthetic sap called “Liquid Life,” which gave the trees longevity. By 1960, the Halvorsons annually sold over 1.5 million trees throughout the United States. Besides the family tree business, Halvorson was a pioneer snowmobile distributor, operating what was at one time the largest network of Ski-Doo dealerships in the world.